Over 100 different colors and styles available! Wholesale prices for the general public! We ship nationwide, get your cabinets delivered to your home this week. Are you tired of the same old, boring looking cabinets? Are you looking for something different? Are you looking for more exclusive and unique cabinets for your kitchen or bathroom? 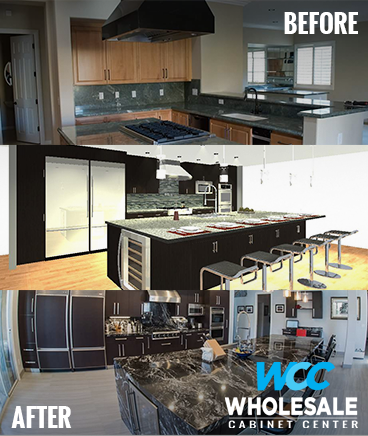 At Wholesale Cabinet Center we offer a wide variety of colors and styles to make your dream kitchen a reality without the crazy prices. All of our solid wood cabinets come with a standard life time warranty. You can count on us to provide you with the best service, highest quality cabinets to go with the best prices in town. Stop by our showroom today and see for yourself the variety and top quality of our European, modern, and contemporary kitchen cabinets, bathroom cabinets & vanities. From Modern to Conservative we have it all!